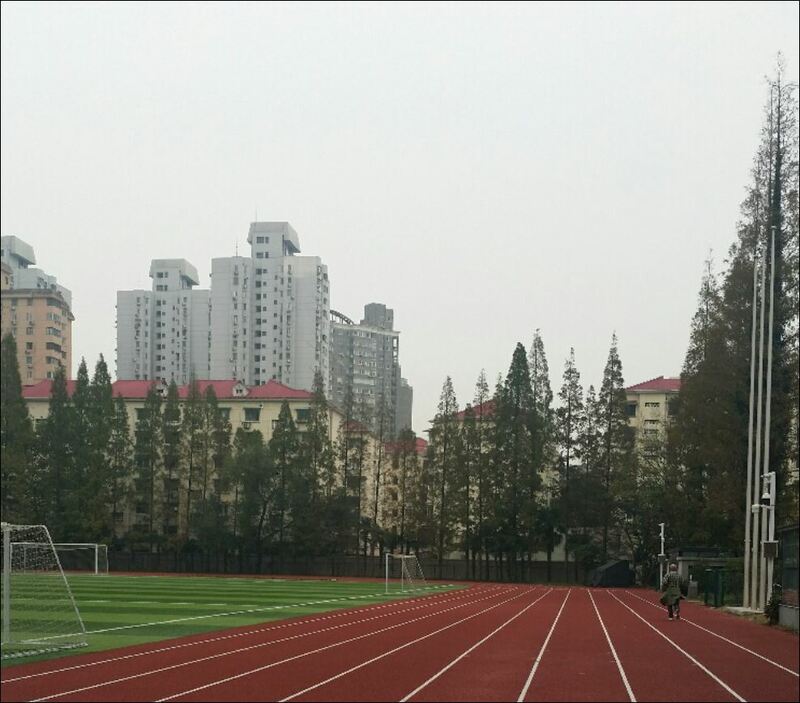 Day two of Law school…day one of running in Shanghai. With a busy day of uni and a visit to the Arbitration Commission a 6am run was in order. 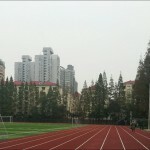 Where do you run in Shanghai? Around the law school running track of course. The track was busy with runners and bootcampers and we even bumped into Dr Liu. It was a pretty awesome way to start the day doing laps on a cold Shanghai morning. The second day of our study tour began with an introductory lecture on Chinese foreign trade law by Professor Jiaxiang Hu. We were all intrigued learning about the development of Chinese foreign trade law, particularly its similarities to Australian commercial and trade laws. We are familiar with some aspects due to the ratification of international treaty law and other bilateral agreements. 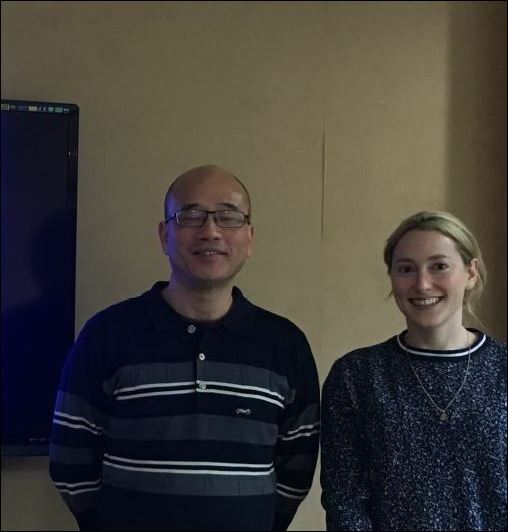 Contrastingly, we were also surprised to learn about the differences in foreign trade in China due to the different political and economical systems. Overall we found today’s lecture to be eye opening and essential to developing our understanding of foreign trade in China and greatly important for anyone wishing to undertake business in China or in conjunction with Chinese firms. 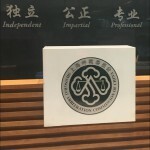 I’m writing about the next part of our day because Lachlan had a blood nose during our visit to the Shanghai Arbitration Commission. It seemed the lofty heights of the 23rd floor and the 10000 cases per year that the commission presided over was all too much. And understandably so. 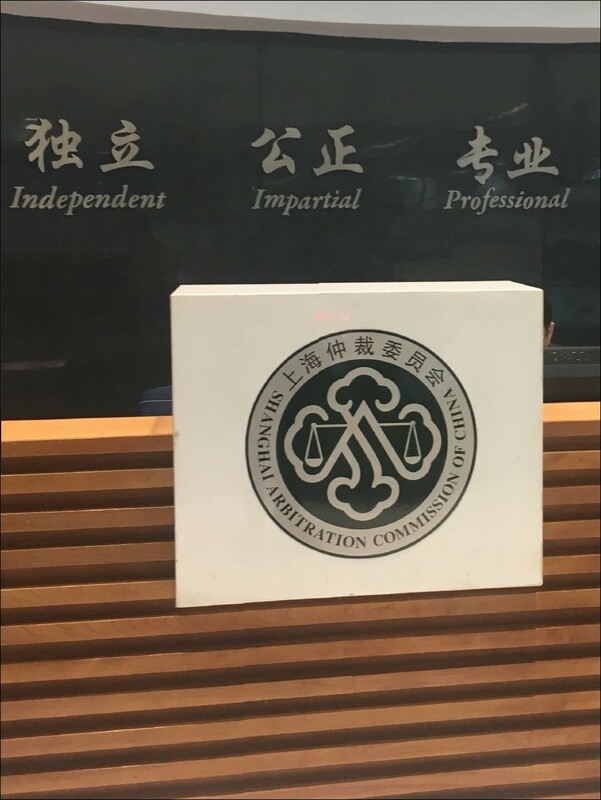 We were treated to a detailed lesson in the function and processes of the Shanghai arbitration commission from a very informative Jiao Tong PhD student. The different arbitration rooms that we toured gave us some insight into the varied scale of the different cases. The commission is very successful with only 2000 of the 10000 cases continuing on to the court system and only two percent of those being decided differently by the court. After taking an hour to drive 3.5kms from the Arbitration Commission some much needed ‘zen’ was in order. Thankfully a yoga studio was only three floors below. Relaxation perfection. Now for some guilt free dumplings. A run, law school and yoga = a great day in Shanghai. 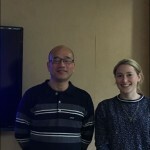 This entry was posted in Events, News and tagged China Study Tour 2017. Bookmark the permalink.